Have you been waiting for weeks or months for your dentures? With our focus and experience, International Smiles can deliver high-quality dentures much more quickly - sometimes in the same day! Using the latest developments in dentistry, we provide a complete range of removable dentures, including conventional, immediate, implant-retained, vanity (spare) and partial dentures. International Smiles strives to make your experience as low-stress as possible. Relax in our welcoming waiting areas and put yourself in the care of our friendly, professional staff. Due to late detection, mouth cancer kills one in two people who are diagnosed. International Smiles provides all of its patients with an oral cancer screening to help detect this condition. Our expert team includes licensed dentists and lab technicians along with other high-performing dental care professionals with a united vision of providing outstanding dental treatment in a caring environment. Our focus and experience allows us to provide high-quality dentures at highly competitive prices. We're confident in our services and committed to delivering top quality dental care. International Smiles provides high-quality dentures and orthodontic procedures at competitive prices – sometimes in the same day! We provide a complete range of removable dentures, including conventional, immediate, implant-retained, vanity (spare) and partial dentures. And we are the exclusive providers of Same-Day Smiles technology, which allows deliver of high-quality, complete dentures in a fraction of the time it normally takes to deliver conventional dentures. 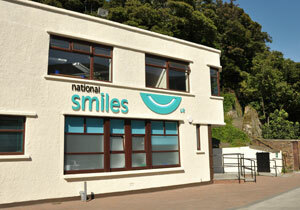 We also offer a range of orthodontic procedures. And we offer custom-made anti-snoring devices to help you get a better rest and feel more refreshed when you awake. We start by providing all our patients with a comprehensive oral exam and evaluation including a thorough cancer screening. We then provide a personalized consultation along with your examination results as well as treatment plan options customized for your specific dental needs. At International Smiles, our goal is to make high quality dental care accessible and available to everyone. Our experience, focus and technology let us provide high quality dentures and orthodontic procedures at affordable fees that are competitive with NHS and private practice pricing. We’ll even provide you with a choice of payment options including immediate financing if you so choose. Start by making an appointment with International Smiles, and you’ll be on your way to solving your dental health and denture problems.